The shift from PCs and laptops to mobile devices is a major market trend that investors are trying to get out in front of. Barry Randall, manager of the Crabtree Technology Portfolio on Covestor, in a recent Forbes article said an alternative way to play mobile he favors is to invest in telecommunications stocks. “Unless somebody comes up with some other way for people to communicate with each other, people are going to need telecom providers whether they address the world at large or enterprises,” says Randall. As mobile services get more use, he doesn’t expect much in the way of change among the big players that dominate the landscape in the U.S. Verizon Communications’ purchase of Vodafone’s stake in Verizon Wireless, and the appetite for the $49 billion in bonds it sold to help finance the deal, is a sign of good things to come, says Randall. 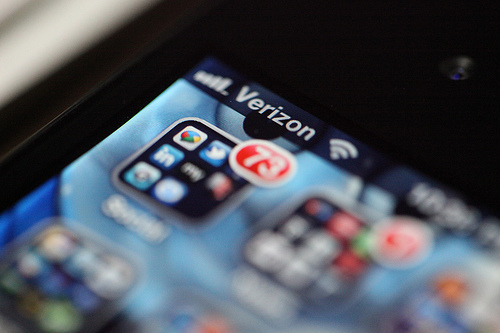 Verizon has trailed the broader market with an 11% gain this year but has returned 16% including dividends.